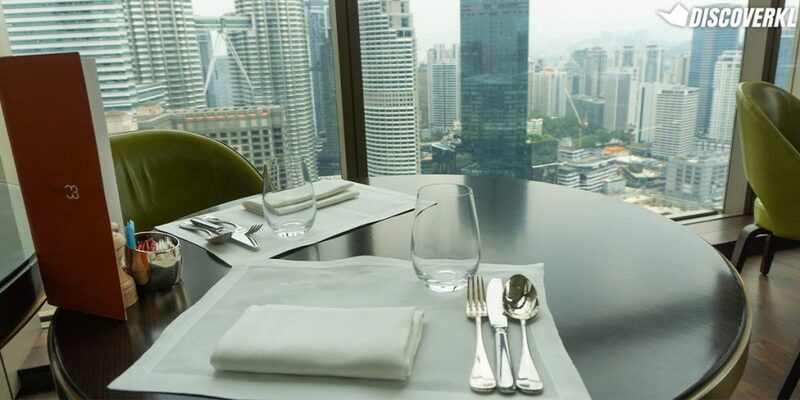 Grand Hyatt Kuala Lumpur is known for their breathtaking views, attentive hospitality and interactive dining experiences at the THIRTY8 restaurant, wine bar and lounge. After our romantic five course adventure with them on Valentine’s Day, we decided to return for a grown-up version of a Charlie and the Chocolate Factory adventure. 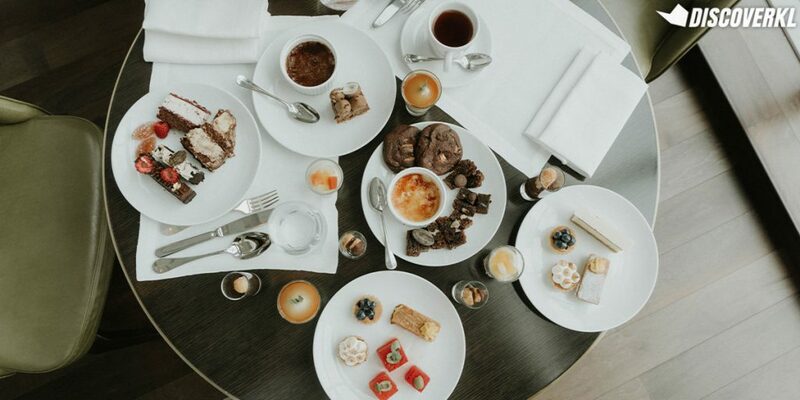 High on Sugar: Chocolate Finesse is a cocoa-rich afternoon tea buffet featuring over 40 chocolate inspired recipes using chocolates sourced from Malaysia, Belgium, France and Switzerland. 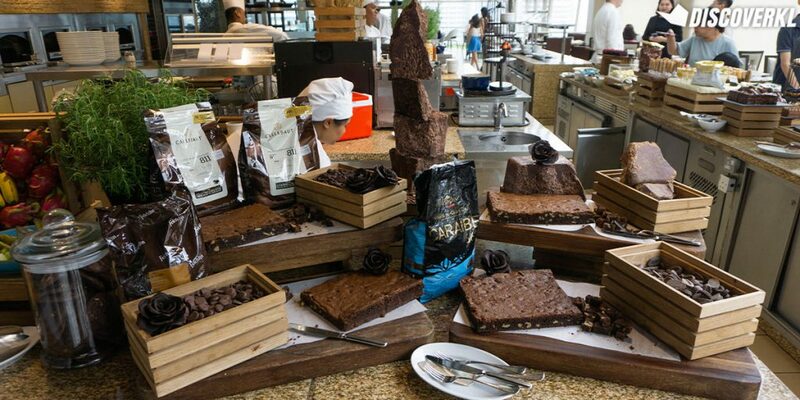 Grand Hyatt uses chocolate from notable brands like Callebaut, Valhorna and Felchlin. Brownies and chocolate chip cookies made from four types of chocolates. 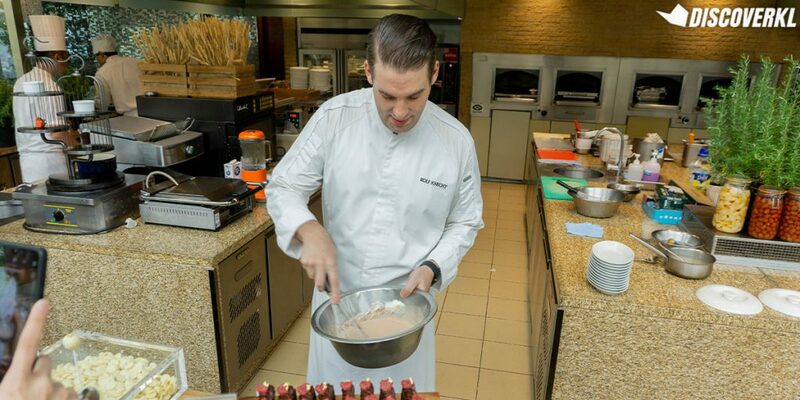 Executive Chef Rolf Knecht spilled the (cocoa) beans on the differences and similarities between the four types of chocolates used to produce this dessert finesse. Firstly, all four chocolates used the same cocoa beans. It’s their roasting and processing methods that produces different characteristics in the chocolates. Chef Rolf also shared how the Malaysian chocolate, which originates from small cocoa bean farms in Pahang, are his personal go-to snack. 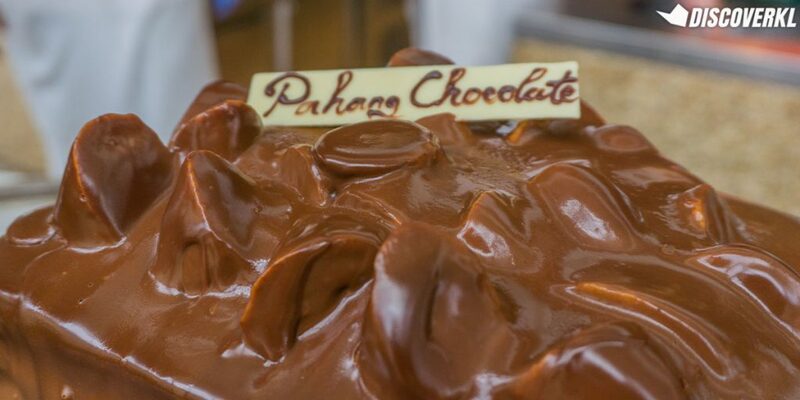 He would also opt for the Pahang chocolate when whipping up a chocolate dessert for his children. He added that by purchasing from local sources, it encourages sustainability, supports local businesses and produces smaller carbon footprints. For instance, Callebaut, a form of Belgium chocolate, is a sustainable brand that’s big on going against deforestation. 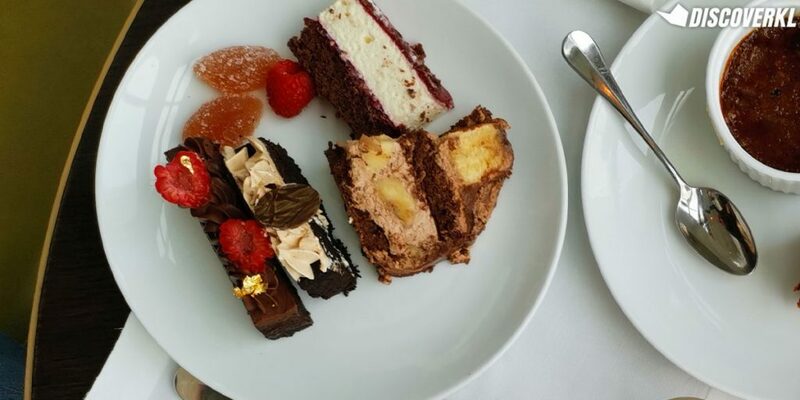 From a chocolate tasting section to a guilt-free corner and plated chocolate savouries served hot, here are the 6 dishes that caught our attention. Part of the experience of this chocolate buffet is the pleasure of watching your desserts being made in front of your eyes. 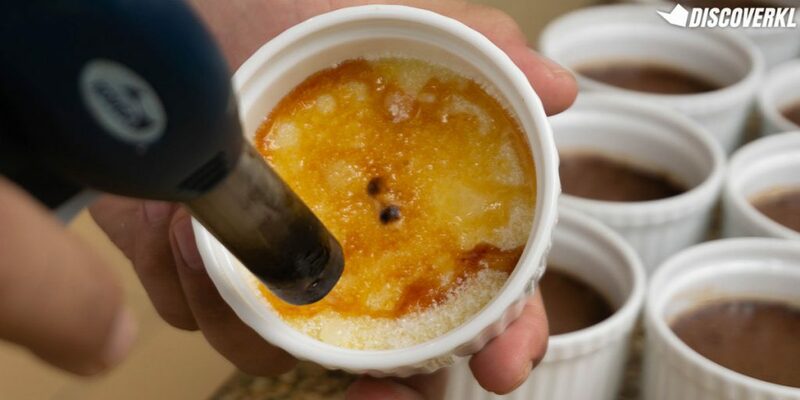 The traditional crème brûlée was custard soft with a delightful crackly sugar top. Not too sweet, not too creamy, the flavours are nicely balanced. 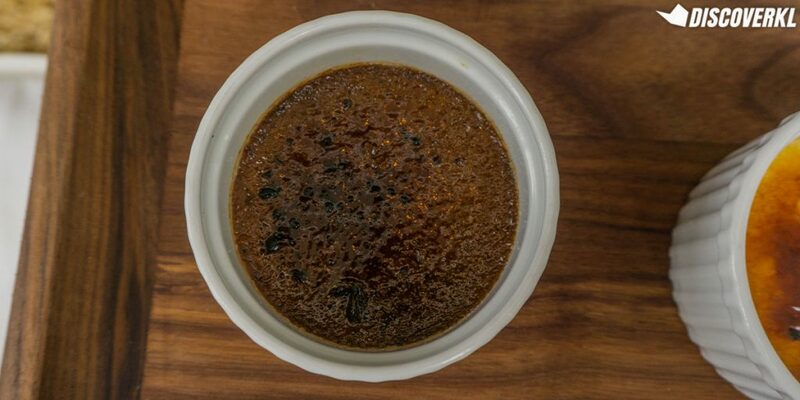 If you’ve never had a chocolate crème brûlée, this one’s worth a shot. With the torched layer of sugar on top, it tasted like a roasted chocolate custard, perfect for those with an affection for a smokey aftertaste in their food. More often than not, chocolate cakes tend to either be too airy, too dense or sickly sweet and spammed with buttercream. But this moist chocolate cake topped with silky smooth Callebaut chocolate nailed the texture just right. It’s soft enough to be easily sliced through with a fork, but firm enough to hold its shape. 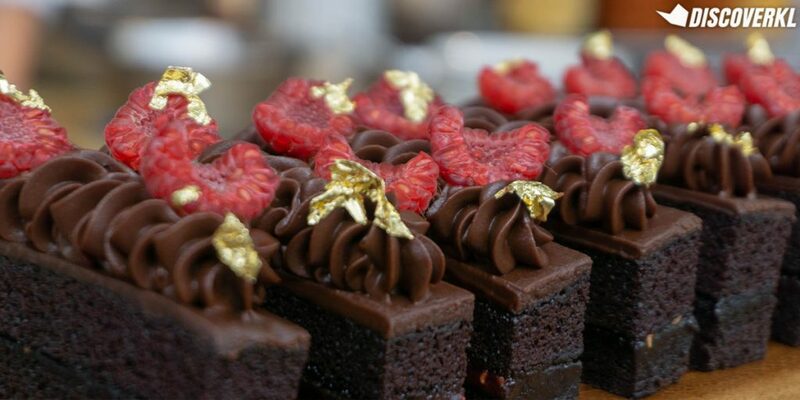 The sweet tartness of the raspberries add an extra depth to the chocolate cake, reigning it back from the pitfalls of being ‘just another chocolate cake’. Another personal fave was the Pahang Banana Chocolate Cake. With a more chocolate to banana ratio, it could very well be a chocolate cake with bananas, but we’re not complaining! It’s essentially a chocolate cream with fresh banana chunks sandwiched between two thin layers of chocolate sponge. Then, more chunks of fresh bananas are topped on before a decadent chocolate ganache unifies it all. 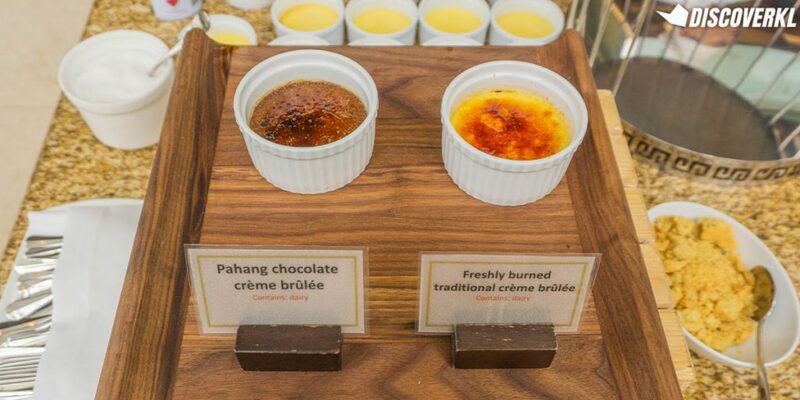 Regardless whether you start or end your meal with the desserts, this chocolate buffet’s hot food menu is also worth the tummy space. The Shepherd’s Pie has a juicy minced beef base and a flavoursome baked mash on top—your typical pie done right with balanced measurements of each ingredient. It comes with a Black Angus espresso, which is essentially a cocoa beef meatball dish. It has a rather interesting dark cocoa flavour profile to it. The gravy, mash and sautèed peppers complimented the firm meatballs that held its form with each bite. However, the real show stealer was the White Chocolate Baba Ghannouj. 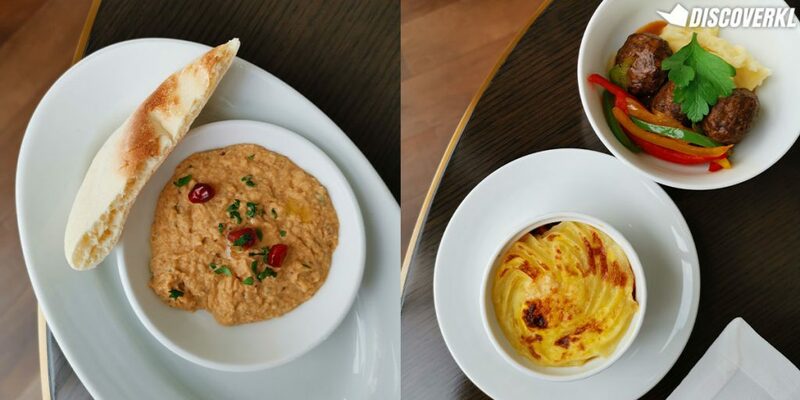 Dictionary Time: Baba Ghannouj is a Levantine dish made by mashing cooked eggplant with tahini and olive oil. It is often enjoyed with a side of pita bread. “White chocolate is deemed as the unwanted stepchild of chocolates to chefs as it mainly consists of cocoa fat,” shared Chef Rolf. However, it incorporates well with savoury food in creating a rich and creamy texture while naturally enhancing flavours. Containing lesser calories than most ingredients that are usually in a baba ghannouj, white chocolate is added to create a rich and creamy texture. It also apparently goes well with any dish that has tahini too. Hence, this Baba Ghannouj was creamy but light and flavourful with a burst of refreshing sweetness from the pomegranates. Chef Rolf’s deep knowledge on chocolates and the ways of the wok combined with his charisma makes him an absolute delight to be around. With his jovial grin, he would talk to anyone that makes eye contact or shows a spark of joy in their eyes. If nothing at the dessert bar impresses you, feel free to request for a hand-whisked chocolate milkshake made with Pahang chocolate. Using vanilla ice-cream as a base, he whisks it with melted chocolate and whipping cream to create a milkshake so smooth, it’s akin to a fuller and creamier chocolate milk. 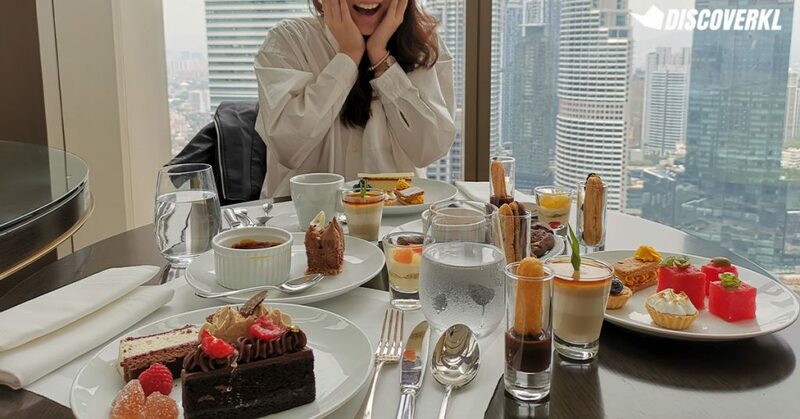 Honestly, the chocolate buffet spread can seem pretty daunting even to a sweet tooth like me. While I appreciated and enjoyed the chocolate treats, it got a little sickly after five desserts. Hence, it was really thoughtful of the chefs to create fruit based palate refreshers. 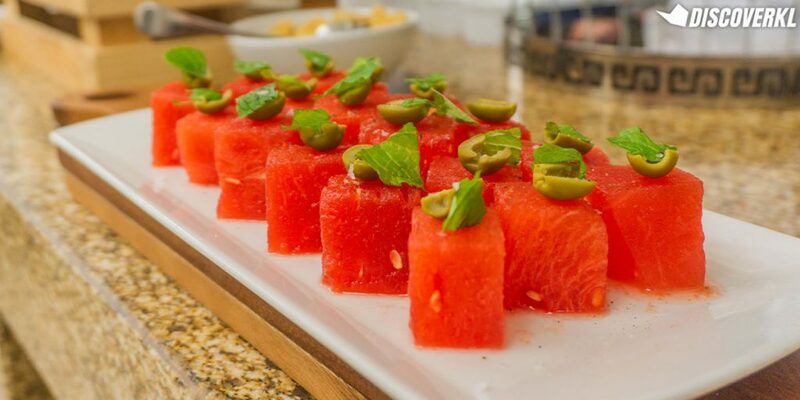 Among the pineapple meringue pies, blue berry tarts and mango mille-feuille (a custard pastry), these salted and spiced cubes of watermelon were a breath of fresh air. Imagine this; a tinge of salt with a hint of mixed herbs, garnished with a single mint leaf and half a green olive combined with the natural sweetness of watermelons. 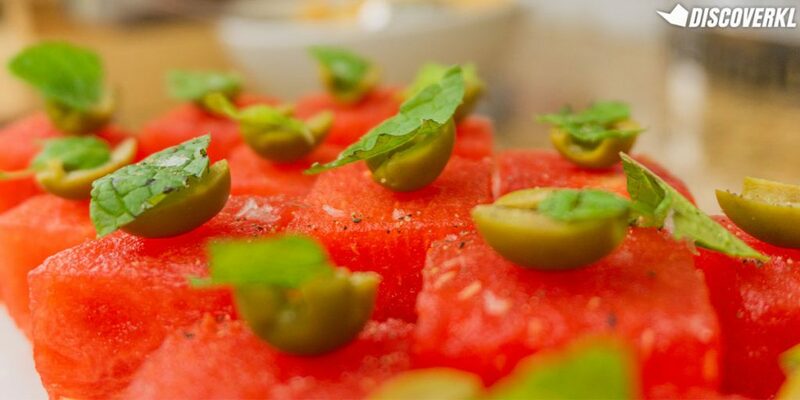 Mindbogglingly delicious but according to science, salt makes watermelon taste sweeter through a sweet and salty contrast.